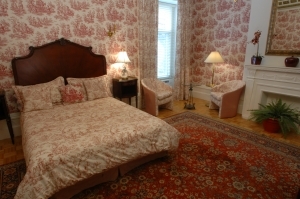 Hotel Manoir Sherbrooke, a downtown Montreal hotel has unique and tastefully decorated rooms in a Victorian style, keeping with the building’s historical character. Choose one of our comfortable boutique style rooms that best meets your needs, whether you are in downtown Montreal for a romantic getaway, business meeting or looking to discover our beautiful city. 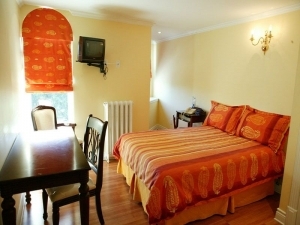 1 double bed (13 sq. meters). Amenities include a private washroom with shower or bath, air conditioning, cable television, telephone and free WIFI access. Continental breakfast included in room rate. 1 double bed (15 sq. meters). Amenities include a private washroom with shower or bath, air conditioning, cable television, telephone and free WIFI access. Continental breakfast included in room rate. 1 queen bed or 2 twin beds (18 sq. meters). Amenities include a private washroom with shower/bath combination, work desk area, air conditioning, cable television, telephone and free WIFI access. Continental breakfast included in room rate. 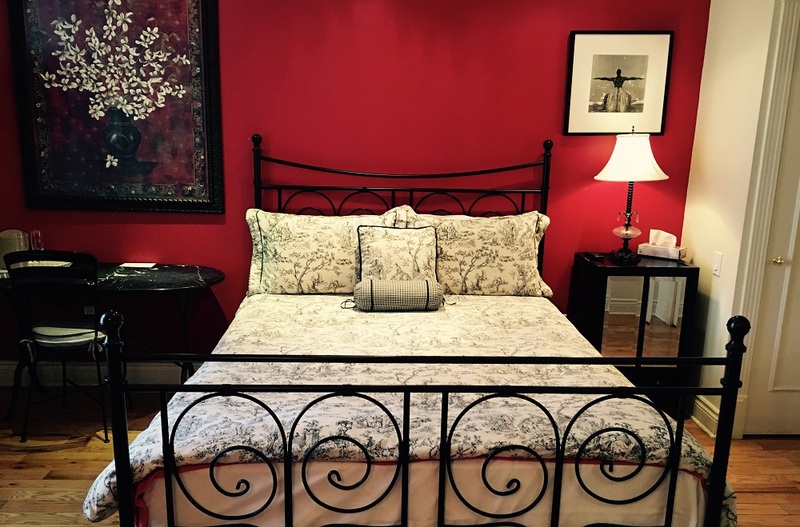 1 queen bed (20 sq. meters) . Amenities include a private washroom with shower/bath combination (several with jacuzzi tub), work desk area, air conditioning, cable television, telephone and free WIFI access. Continental breakfast included in room rate. Room Facilities:1 queen bed (20 sq. meters) and futon. Amenities include a kitchenette (fridge, stove, microwave, coffee maker, toaster, dishes and cooking appliances, a private washroom with shower/jacuzzi bath combination, work desk area, air conditioning, cable television, free WIFI access. Continental breakfast included in room rate. 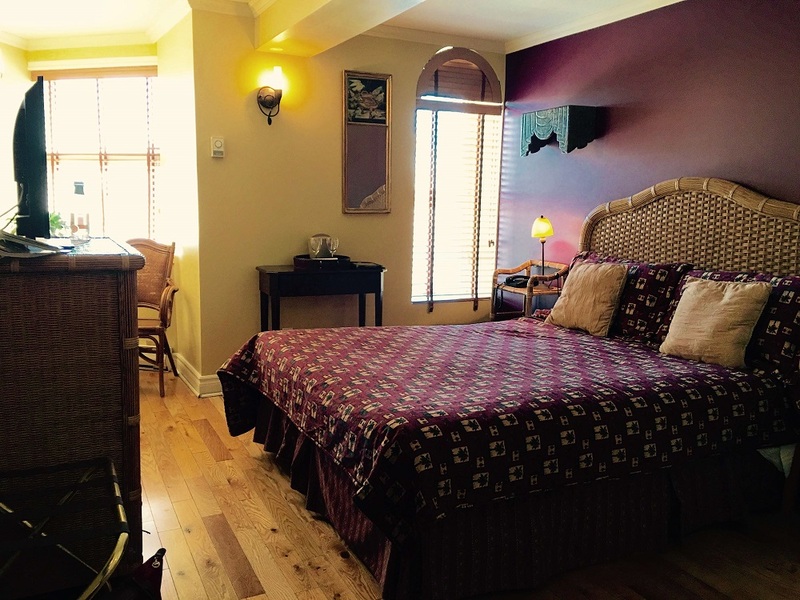 The studio has a private entrance; however is located in the basement level of the hotel. Rooms are based on double occupancy. $15 charge per additional person per night. 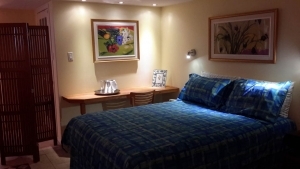 Nightly rates are quoted in Canadian dollars. Lodging taxes, GST and QST are not included. Cancellation policy : No charges will apply if cancellation is made at least 48 hrs prior to date of arrival. Otherwise, charges equal to a one night booking will apply.